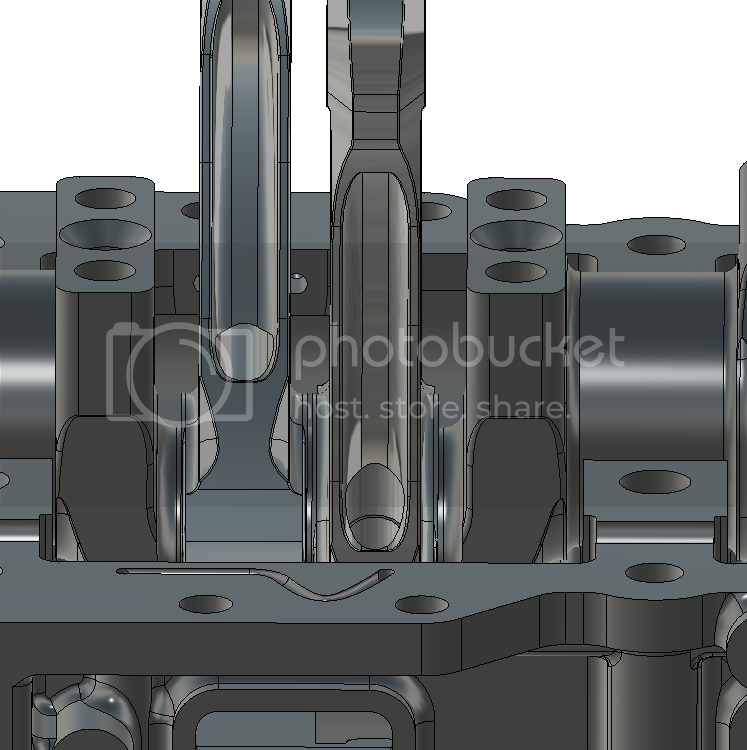 Another part under the spot light, this time the F1 Crankshaft. 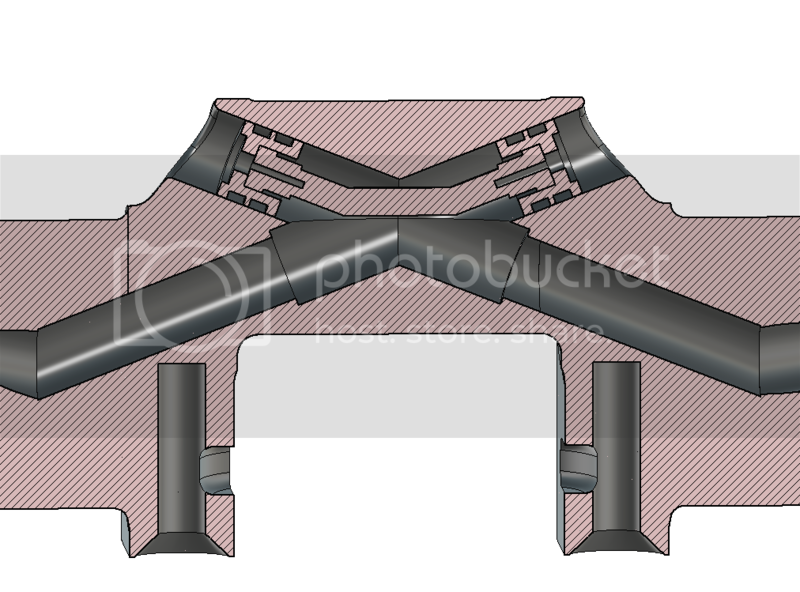 In this thread I will be unlocking a few secrets hidden within this part - The F1 Crankshaft, mainly its construction, and some other features. For a good period of time a few things had always bothered me in terms of oil ways and so on. 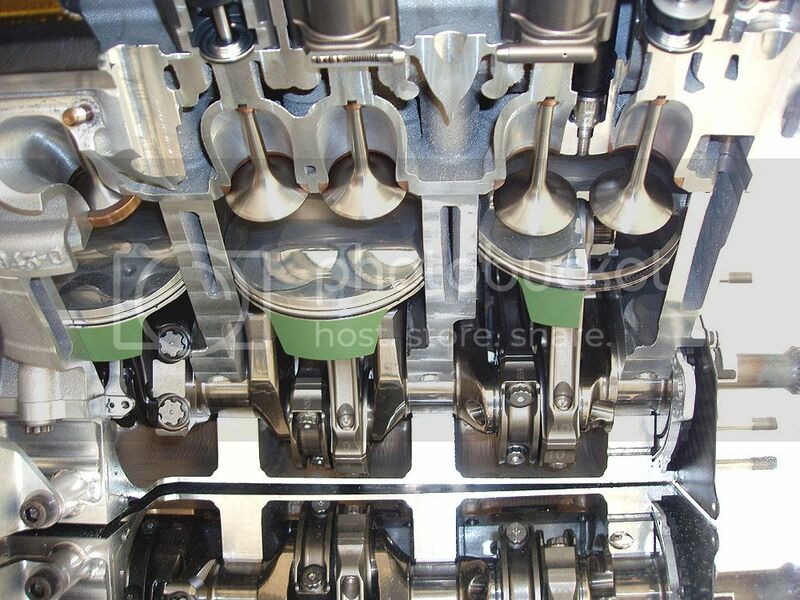 The part below is from the Cosworth TJ V10 Engine - please be advised this crank has been in poor storage for the past while with the result it is now a display item only and will not be ran again. Its counterweights have also been removed but they are pretty inanimate objects in a way. With that in mind and ignoring the surface finish lets delve in and see what it has to offer. Shining an led into the first counter balance mass shows the small communal drilling from nose to provide cooling under the waisted plug, all the other counter balance masses rely on splash oil entering around the waisted plug to provide cooling. 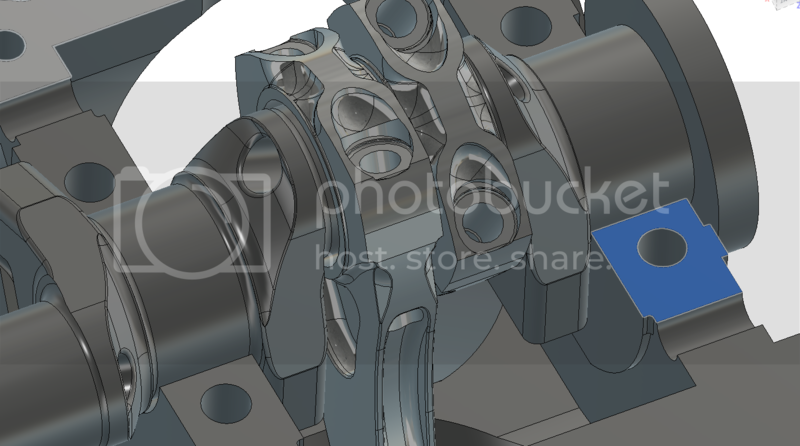 I have not yet looked at the angular dimensions bar cading it, but I suspect there is some machined in twist so that the crank runs true under power. I'll make the above angle offset call-outs a bit clearer with some cad next week. Thank you Brian. Really enjoyed this read and pictures. Well done. Thank you for taking the time. wouldn't a THA (Tungsten Heavy Alloy) be stronger and marginally denser than DU (Depleted Uranium) ? 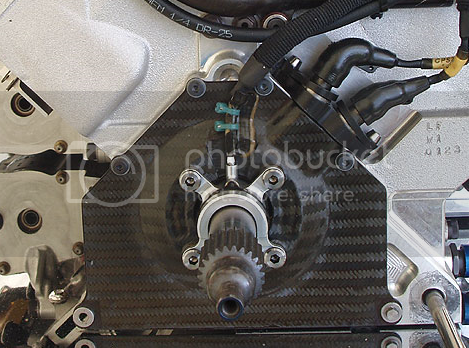 Brain;- “the part bellow is from the Cosworth TJV10 engine” (19k max rpm). “its counterweights have also been removed but they are pretty inanimate objects in a way”. 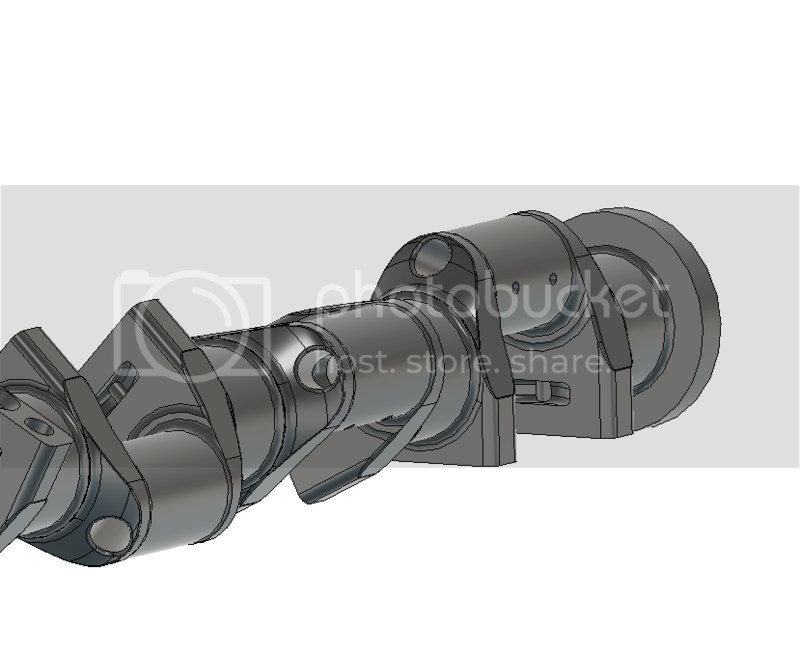 Assuming Brain acquired the crankshaft complete with counterweights and removed them himself he is the one that can shed light as to the actual material used for counterweighting.